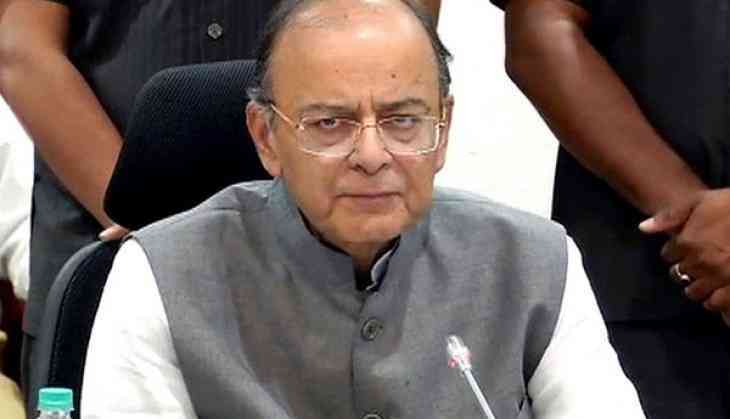 Union Finance Minister Arun Jaitley on Tuesday called the cash crunch in the country as a 'temporary shortage' and assured that the situation is being tackled quickly. "Have reviewed the currency situation in the country. Over all there is more than adequate currency in circulation and also available with the banks. The temporary shortage caused by 'sudden and unusual increase' in some areas is being tackled quickly," the Finance Minister wrote on Twitter. Earlier, Shiv Pratap Shukla, Minister of State for Finance, while talking to ANI, accepted that there is a shortage of cash in ATMs in some parts of the country. Shukla said that the problem will be resolved within three working days as the government has about Rs. 1,25,000 crores of cash currency. "We have cash currency of Rs. 1,25,000 crores right now. There is one problem that some states have less currency and others have more. The government has formed state-wise committee and RBI also formed committee to transfer currency from one state to other. It will be done in three days," Shukla told ANI. He added that there is nothing to worry about and that the economic system of India is still safe and secure. Meanwhile, the people in various parts of the country, including Delhi, Karnataka, Andhra Pradesh, Rajasthan, Uttar Pradesh, Madhya Pradesh, Telangana, Maharashtra, among others have been unable to withdraw cash from some ATMs. "We do not know what or where the problem is but the common man is facing difficulty as the ATM kiosks are not dispensing cash. We have visited five to six ATMs since morning. We need to pay for the admission of children and purchase groceries and vegetables," claimed a resident of Varanasi. Some people in Hyderabad are also facing the similar issue. "We have been unable to withdraw cash from ATMs as the kiosks, in several parts of the city, have run out of cash. We have visited several ATMs since yesterday but this is the situation everywhere," a person said in Hyderabad. However, people in Madhya Pradesh claimed that they have been facing a cash crunch for the last two weeks. "We are facing a cash crunch. ATMs are not dispensing cash. The situation has been the same for last 15 days. We have visited several ATMs today as well, to no avail," a local said. The people in Delhi, on the other hand, said that most of the ATMs are dispensing only Rs. 500 notes. "We are facing a cash crunch. Most of the ATMs are not dispensing cash, the ones which are dispensing, have only Rs. 500 notes. We are facing difficulty, don't know what to do," claimed a resident in the National capital. In Bihar's Patna several ATMs have gone 'out of service' causing inconvenience to the locals. "I have been taking rounds of ATMs since last three days but cash is still not available. Facing a lot of inconvenience in this heat," said a Patna resident.